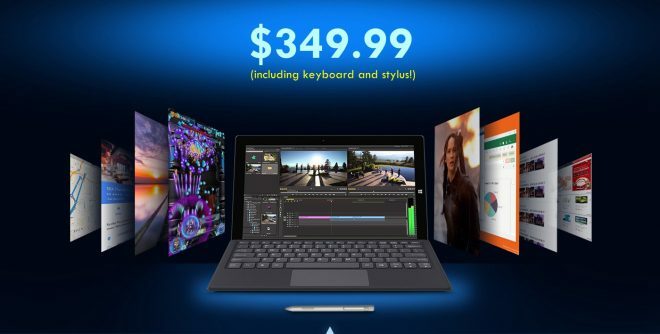 It looks like Chuwi is just full of surprises in 2019 as they’ve just pulled another rabbit out their hat and announced the new 11.6-inch Windows 10 2-in-1 tablet Chuwi Ubook that they will run a Kickstarter campaign for soon, with the first 500 backers given the opportunity to buy this Intel Core m3 powered Windows tablet for $349, with keyboard and digitizer included. The full specs and details for the Chuwi Ubook itself are not public yet though, but here’s what we learned so far. 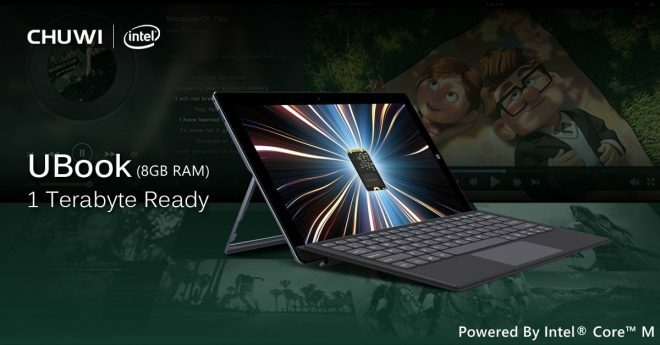 Chuwi Ubook is a 11.6-inch Windows tablet featuring a slim built-in kickstand similar to that on some of the upscale 2-in-1’s from Acer and HP. It has a backlit keyboard of the Surface Type Cover style, and power comes from a dual-core Intel Core m3 processor, with 8GB LPDDR3 RAM, and 128GB and 1TB SSD storage versions. The 11.6-inch screen will be FHD or higher, with support for 1024 levels of pressure sensitive digitizer. Battery life is teased as being 9.5 hours long, which sounds very promising. Ports includes 2x full-size USB 3.0 ports, 1x USB C port, a micro-HDMI port, a 3.5mm audio combo jack, and a DC power/charge port. 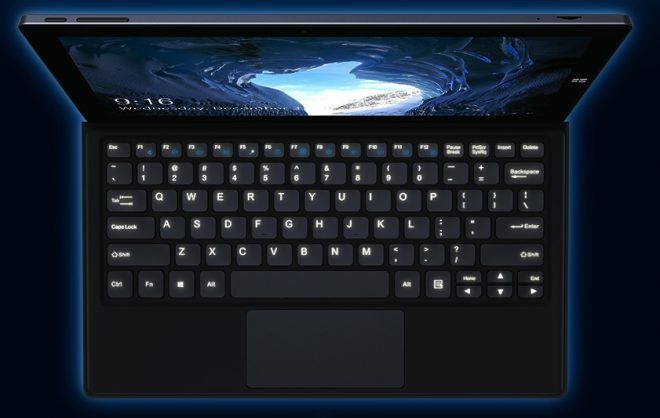 Chuwi Ubook is 9mm thick and weighs 760 grams. This pre-kickstarter campaign began today and will last until the first 500 spaces have been filled, or until January 31th. One of the 500 participants will be drawn to win this tablet for free.